It is no secret that just about my fave aussie alternative club is the Cobweb Club, which plays goth, deathrock, punk, post-punk and wave. OK so I may be a little biased, having DJ’d at a few, but it is one of those events I just can’t miss. And neither should you!! This is a reminder that this Friday, January 25, is the next instalment of the Cobweb Club extravaganza. Theme? Undead. Whether vampires or zombies, mummies or ghosts, demons, skeletons, wraiths, ghouls, or any other party animal without a pulse, you’ll be sure to find some likeminded spirits in the Cobweb Club Catacombs! So there is your license to go to town costume wise – and there are prizes, from Gallery Serpentine, Death Rattles and more. So hop to it! But back to the club night itself. For a peek at what I and others have worn, here are some photos from previous Cobweb Clubs. Just a few piccies to show what I wore on Saturday night for the Under the Blue Moon gig, as well as my husband’s spiffy attire! 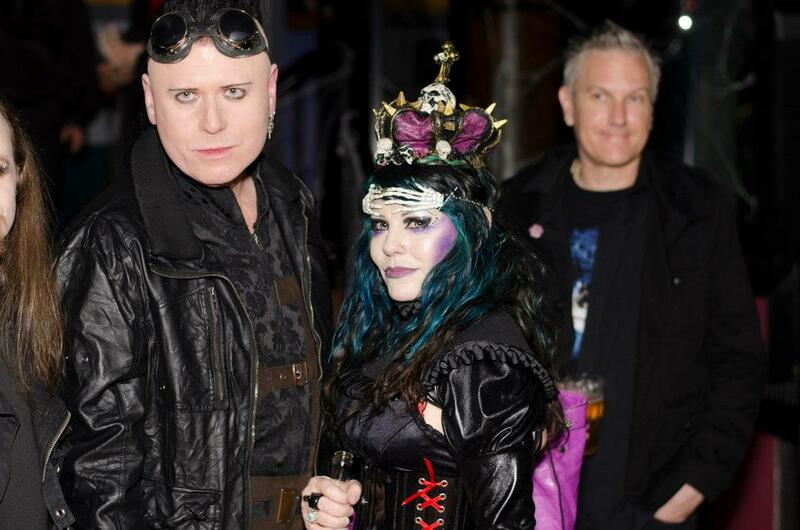 No costumes needed for goths at clubs; we just dress up – but I did go more trad goth than I normally do. 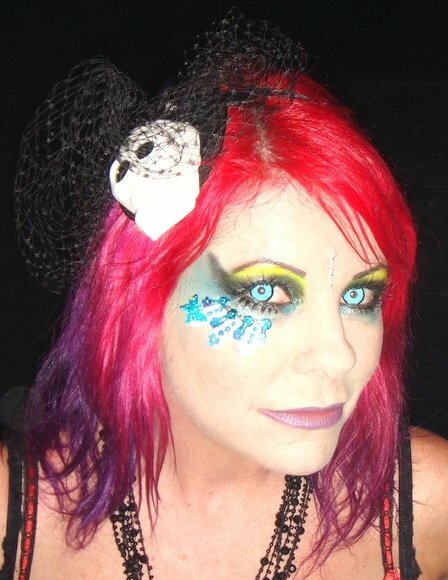 I wore a blue-sequinned Takuya Angel embellishment on my upper cheek/lower lash for a bit of pizzazz, and Angelic Blue lenses from Clearly Contacts. 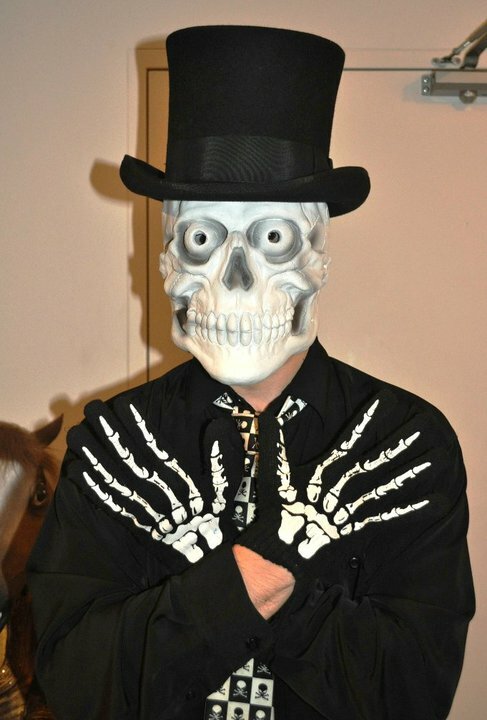 Dom wore the skeleton mask I’d bought for him at Tokyu Hands earlier in the year, along with skelly gloves, and pants from Gallery Serpentine (not seen here). This coming weekend sees a ska night on friday night, and a deathrock/goth night on Saturday…so more dressing up awaits. With a special guest visitor from Melbourne, SuperkawaiiMama!